Kids T-Shirt with funny print. Snazzy with traditional trousers and jeans: The white shirt made of 100% cotton decorated with an original as well as quaint motif. In detailed artistic representation, a hunting dog is portrayed as a "Wuida Deifi" with a scarf and a hunter's hat. 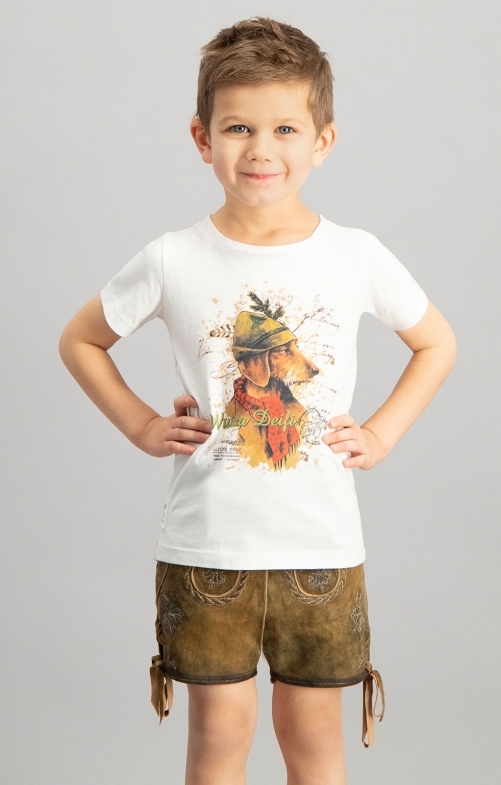 The motif shirt is equally suitable for boys and girls.